Organic soil is a problematic soil. The soil that have properties that may result to serious foundation problems, where there have large uncertainly of its behavior and difficulties in sampling is exist, these are problematic soil. So we have learned about problematic soil with above definition. Now we will learn about mineral content and origin of organic soils. Organic soils are enriched with organic contents which are generally formed due to decomposition of organic materials. In many cases, these soils may exist below other soil mass. Generally they are found in marshy place and at top soil. 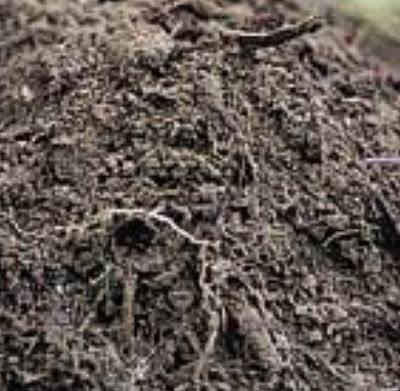 We will discuss about the classification of organic soil in our upcoming posts. Now we will discuss about the problems with organic soils, especially foundation problems. We know that any organic materials have a characteristic of decomposition. In contact with air they become oxidized and results a destruction of slow rate. Thus the volume of organic matters is reduced resulting a compressibility property. They may shrink excessively with compaction. Though oxidation is stated above but anaerobic reaction may be happened in most case they are main reaction. These soils have large moisture content but this is not observed in their plasticity. Organic soils, in some cases, are also corrosive. So this highly compressible soil shows subsidence in slow rate that may produce many foundation problems. Foundation settlement, cracking in structural joints and members, sometimes corrosion in foundations, and as usual damaging utility system buried or in ground surface, are common problem with these soil. In the next post we will discuss about identifications, difficulties in sampling and testing, and classification of organic soil based on different parameters. admixture to the Cement’s Soils Containing Sealers of the CMS (Crumbled Material’s Sealant) for enhancement of soils consolidation with strength accelerating and any required level of liquid impermeability. KF-D performs as a compactor of crumbled concrete and densifier of disintegrated and/or soggy soils. KF-D provides stable consolidation of injected structures with increasing of compressive strength up to 40%. KF-D improves liquid impermeability of Earth-Material’s Structures (EMS) and concrete/masonry building’s elements. KF-D stabilizes the flowing of soggy soils of the fields, offshore, sinkholes, foundations, and etc. KF-D is a cost‐effective solution that utilizes unusable structures to be restored up to impermeable to the liquids without the need of isolating membranes or water mitigating solutions and devices. For areas with active filtration or high water table, KF-D must be injected. NOTICE: This email and attachments are covered by the Electronic Communications Privacy Act, 18 U.S.C. 2510-2521. The information is confidential and may be legally privileged. If you are not the intended recipient, you are hereby notified that any retention, dissemination, distribution, or copying of this communication is strictly prohibited. Please reply to the sender that you have received the message in error, then delete it. Thank you for your cooperation.